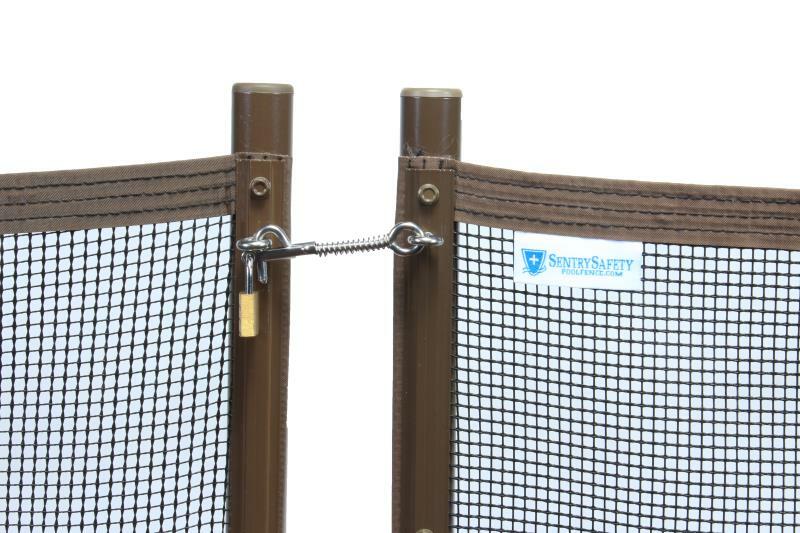 Hooks and eyes provide a sturdy connection between fence sections, yet provide and easy solution to fence dismantling. When would I need an extra hook & eye? These may be needed in the following cases: if splitting a 12' section, if going up stairs, if connecting to two walls or existing structures rather than making a full circle around the pool. So how many do I need? The best way to calculate this is by knowing how many are included. There is one hook and eye included for each section. That way if making a full circle around the pool each end of the section would hook into the beginning of the next until the circle is complete. If you are connecting two walls or existing structures you will need one extra one for the first section to hook into the wall, the rest of the section will just complete the chain all the way until the last section hooks into the other wall with its provided hook and eye. If splitting sections you will need one hook and eye everywhere there are two poles next to one another.